A superb, north facing aspect on the fifth floor. This apartment has magnificent waterfront harbour, River, Salamanca Place, Mount Wellington and city views, everything Hobart is renowned for! 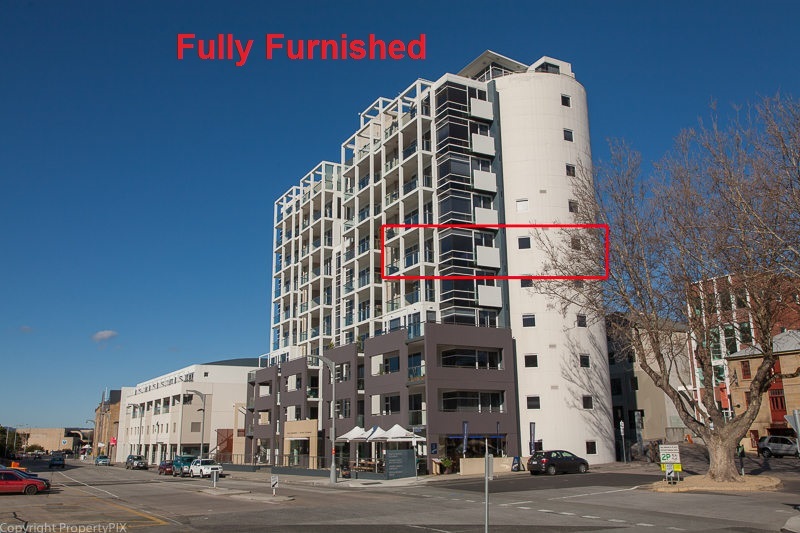 This apartment is only footsteps from the popular Salamanca restaurant precinct. The sunny open plan living, kitchen and dining has access to a private balcony to relish those superb views and there are two double bedrooms with built in robes, an ensuite bathroom and main bathroom. There is a separate laundry and ample cupboard storage. The apartment has security intercom access, reverse cycle air conditioning and also has two secure, undercover car parking bays included. A great opportunity to live in a prestigious apartment on the Hobart docks with magnificent views from every angle. Contact Mark Lawler or Nikki Long to arrange a personal inspection of this outstanding apartment.